Why Payroll Insights HRIS is needed for Manufacturing? Manufacturing industry plays a pivotal role in contributing to the growth and development of the World economy. A well-oiled HR department can help manufacturing sectors to adapt globalization effectively and can also help it to overcome from the wide challenges of the industry. The HR department of manufacturing is usually based on driven-rules, and fast-paced and intense production units, which can provide all the necessary people tools and framework that allow this particular sector to attain success in every area of business. In other words, the basic need of manufactures is an efficient team of HR that can benefit the baseline of the business, if they fail to do so; they are not performing up to the mark. Therefore, it becomes important for HR to assign highly skilled workforce that can deliver a competitive edge to the ever-changing manufacturing industry. This increases the requirement of well-planned strategies, policies, standards, and process, which includes search, recruitment, onboarding, proper training, performance management, compliance, and proper compensation administration. 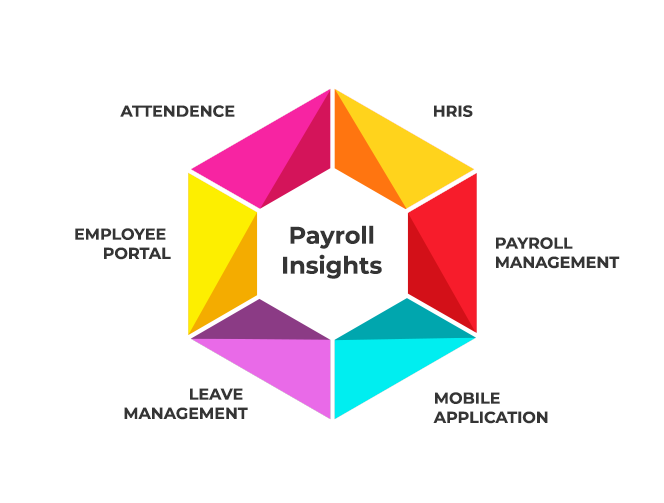 Understanding the exact need of the industry, we, Payroll Insights are ready to serve you with a technologically-advanced tool that can provide you end-to-end HR and Payroll solutions to effectively manage your tasks and workforce. With the help of this HR module, your manufacturing unit will become more streamlined and will allow you to focus on another area that needs your attention. We assure you that your effort will be entirely focused towards your business, not your payroll. HRIS is equipped with automated features that will provide you an option of creating rosters on its own at regular intervals. This will not decrease overtime costs but can allow you to avoid any type of confusion while creating a roster as per the business demands. It has a cloud-based platform that offers an integrated provision of managing employees who are deployed at multiple locations. Being the most user-friendly module, this software can be customized as per demands without any hassle. Attendance and leave are one of the major key areas in the manufacturing industry. The HR professionals tend to waste their lot of time managing their leave and attendance, but an advance HRIS can be an intelligent idea to maintain the same. With the help of an efficient system, the employees can easily apply for leave and check approvals instantly. Accurate leave and attendance data will be easily gathered that will allow you to process their pays accurately. HRIS is known in the industry for its strategic human resource planning system that can easily map out, attract, recruit and get on-board some of the talented workforce from across the globe in an effective manner. This will successfully add to business for your company as per the set targets. The use of mobile is trending and it can work wonders for your business proceedings. HRIS software is precisely designed in such a way that all the employees can access it from any place with their log-in ID’s. Providing access to employees on mobiles enabling them to retrieve information from around the world at any time can keep them abreast with the latest market updates. Real-time analytics feature of HRIS can be considered a boon for the manufacturing industry as it offers you the exact data and analysis within a very short span of time. This will allow you to draw blueprints of your future proceedings well in advance and implement it easily as per the requirements.